Are you a training manager who is finding it challenging to deliver consistent quality training to your workforce spread across the globe? Do you want to provide localized training to better position your company in extended markets? 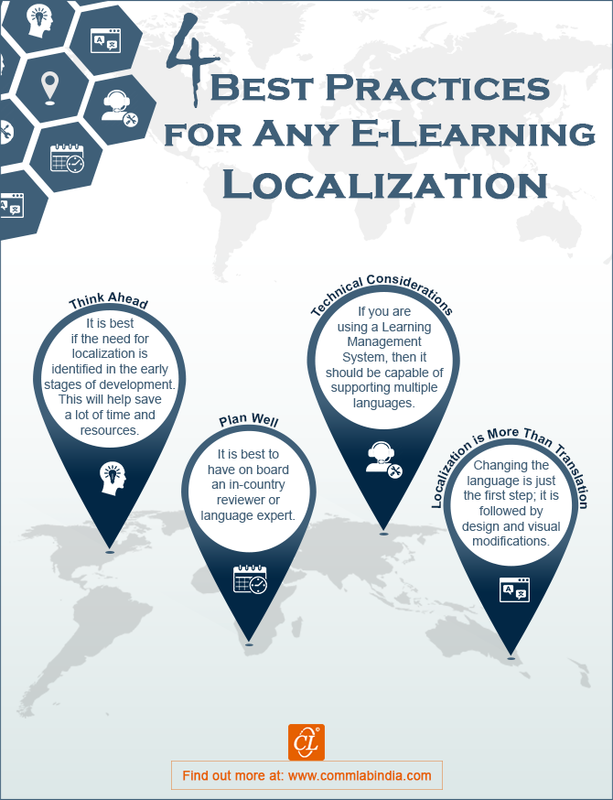 Translating and localizing an existing e-learning program can become a huge challenge due to many reasons. Listed in the infographic are the best practices to ease the process. Hope it helps you set your localization process.